HÀ NỘI — Vietnamese representatives suffered defeat at the semi-finals of the CELCOM AXIATA Malaysia International Challenge in Johor on Saturday. 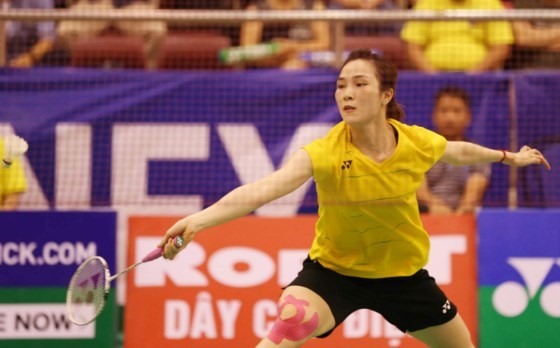 No 5 seed, Nguyễn Tiến Minh, was defeated 21-14, 17-21, 17-21 by No. 6 seed, Iskandar Zulkarnain, of the hosts in the men’s singles category. His teammate and wife, Vũ Thị Trang, saw an unexpected loss of 16-21, 19-21 to Ruselli Hartawan of Indonesia in the women’s singles. Trang was the No 1 seed, while Hartawan was unseeded. Hartawan and Zulkarnain went on to take their titles after winning the final matches yesterday. Hartawan beat Ying Chun Lin of Chinese Taipei 21-14, 21-13, while Zulkarnain won 21-11, 21-13 against teammate, Jun Hao Leong.